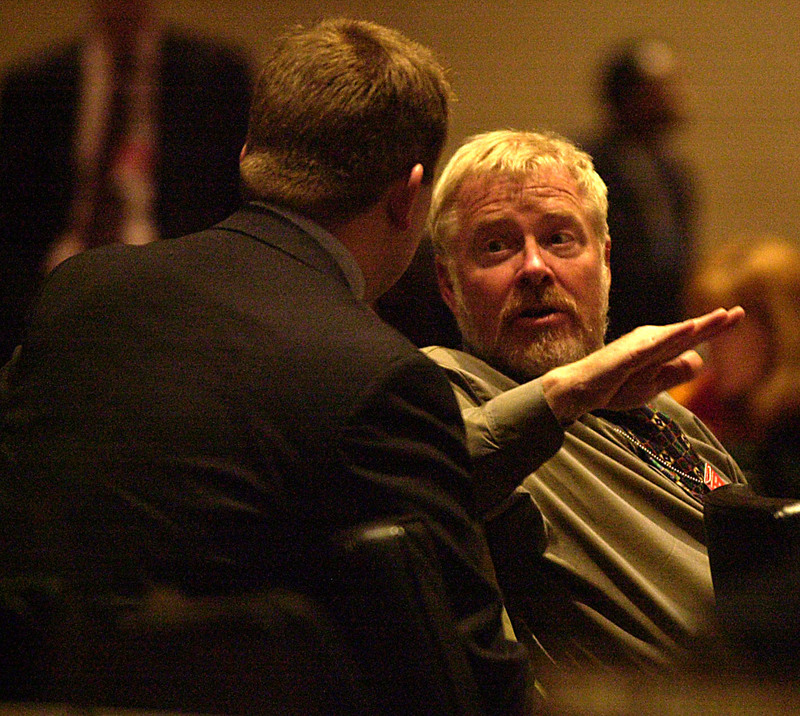 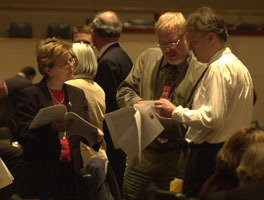 Consensus reached and decisions adopted at CSD-9 early Saturday morning. 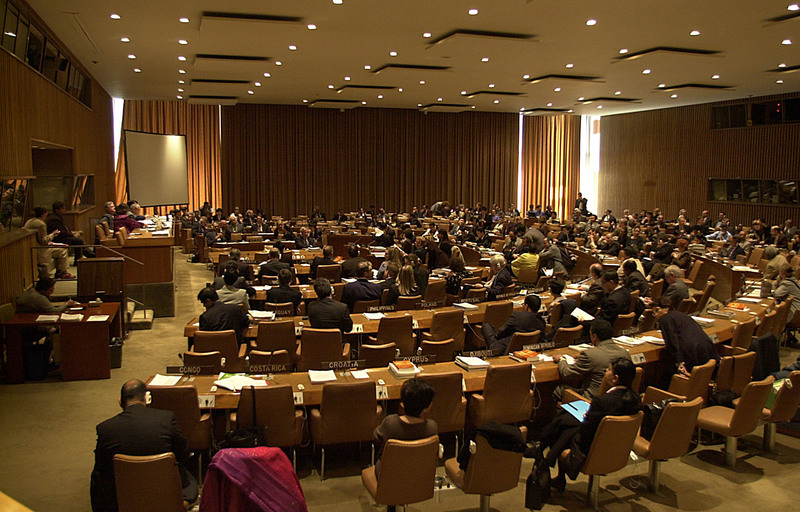 Friday morning began with a Plenary session to take stock of progress made in the Drafting Groups and to determine the organization of work for the remainder of the day. 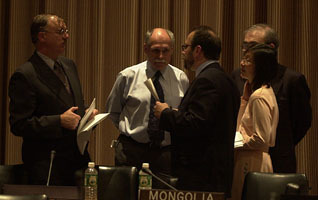 Following the Plenary, informals on atmosphere and nuclear energy convened. 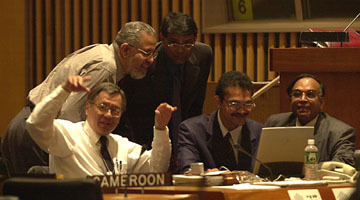 In the afternoon, informals convened on an enabling environment. John Ashe (Antigua and Barbuda) chaired the contact group on outstanding issues, which met throughout the day until 5:30 pm. 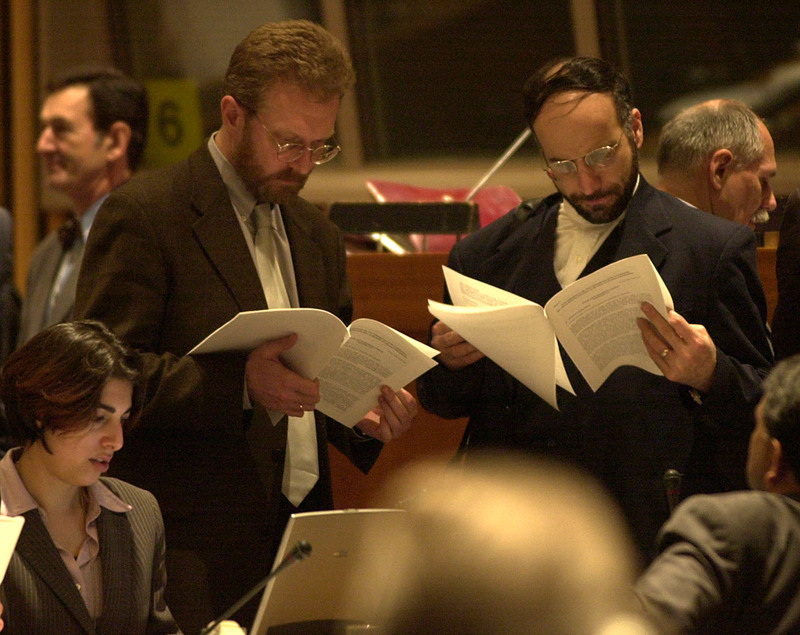 The group reconvened at 12:00 midnight to discuss text on information, energy and transport, while informals on atmosphere and enabling environment continued throughout the night and into the early morning hours. 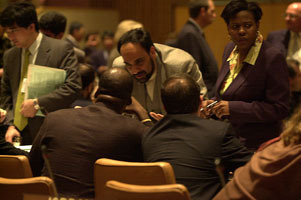 Due to the cross-cutting nature of some of the issues in the five draft decisions, many of the contentious issues were traded as "package deals" through informal bilateral agreements. 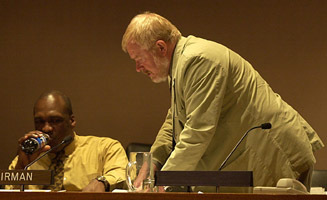 John Ashe (Antigua and Barbuda) chaired the Contact Group on outstanding issues. The Contact Group concluded its work at approximately 6:00 am and the texts with some remaining brackets were sent back to the Drafting Groups for approval. 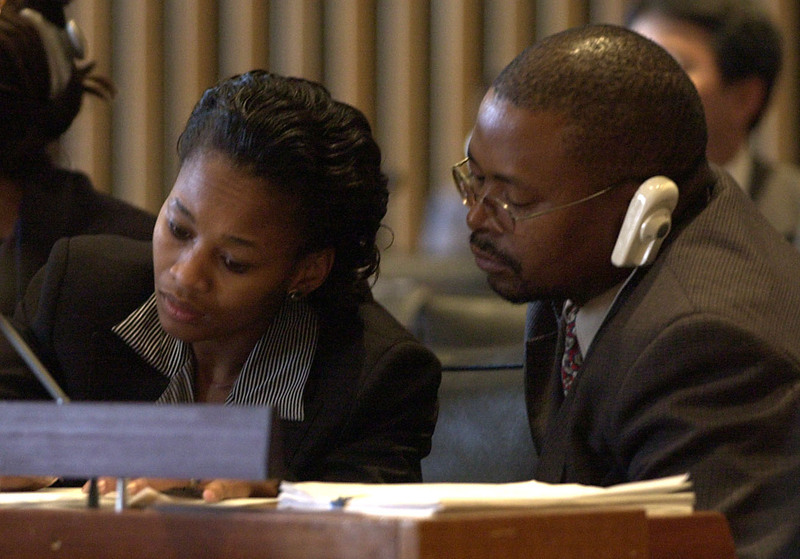 The Drafting Group Chairs Alison Drayton (Guyana) and David Stuart (Australia) then worked through the text to clear the remaining brackets and sent them to Plenary for adoption. 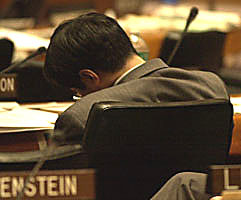 Most of the text remaining in brackets was subsequently dropped. 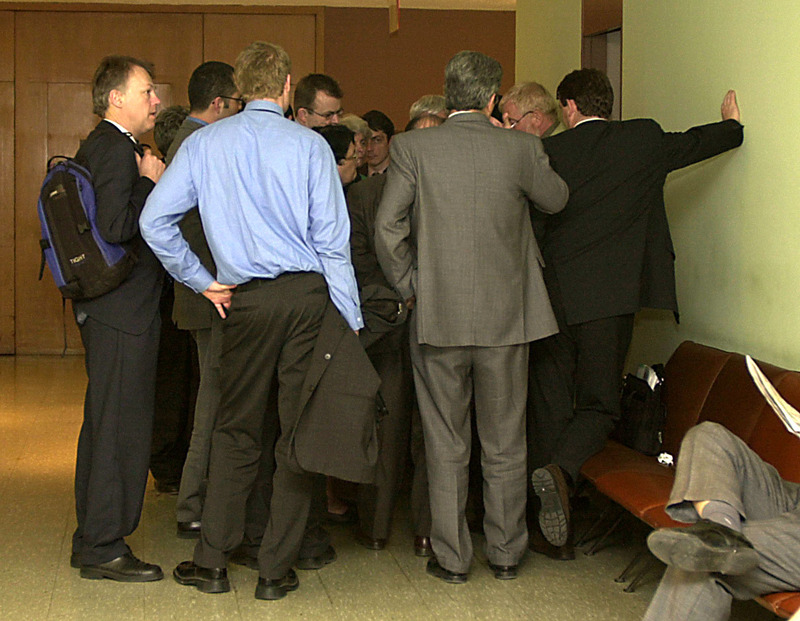 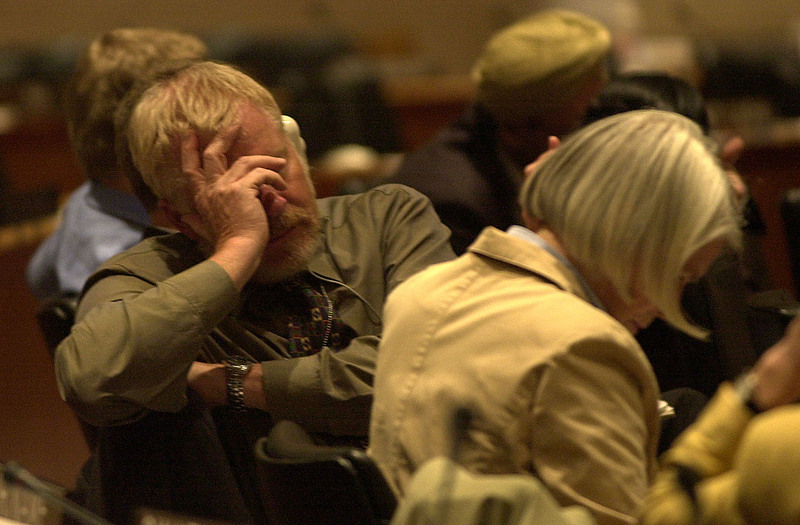 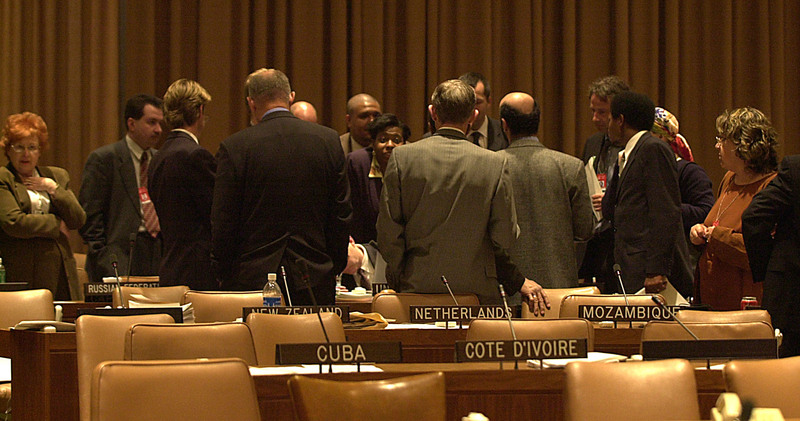 The Closing Plenary of CSD-9 adjourned at 8:45 am on Saturday morning. The five decisions on transport, atmosphere, energy, information for decision-making and international cooperation for an enabling environment were adopted at 8:20 am, and CSD-9 was gaveled to a close at 8:45 am. 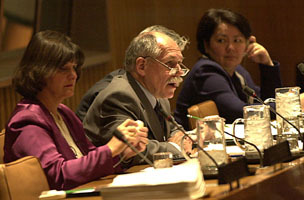 JoAnne DiSano, Director, Division for Sustainable Development, CSD-9 Chair Bedrich Moldan (Czech Republic) and Vice-Chair and Rapporteur Madina Jarbussynova (Kazakhstan). 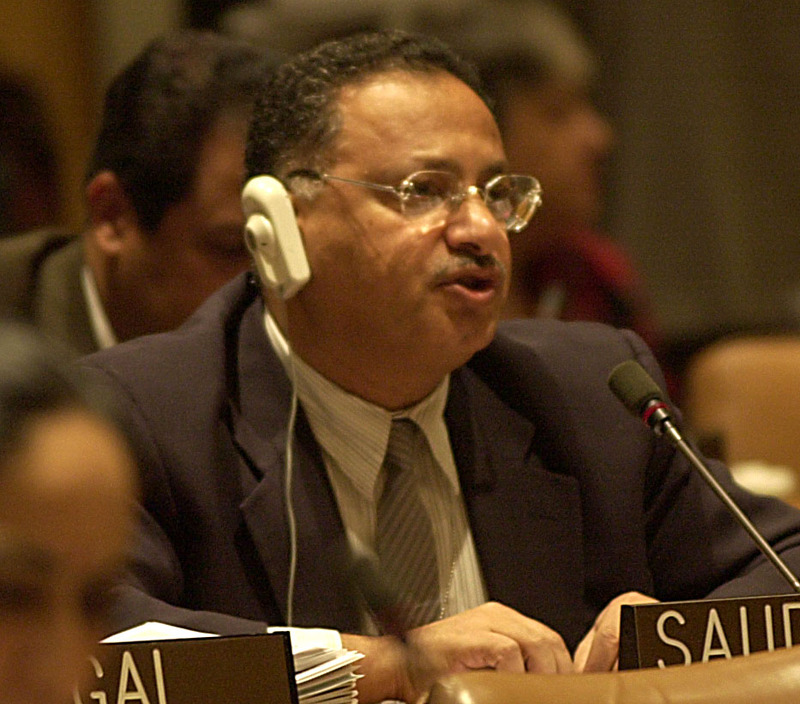 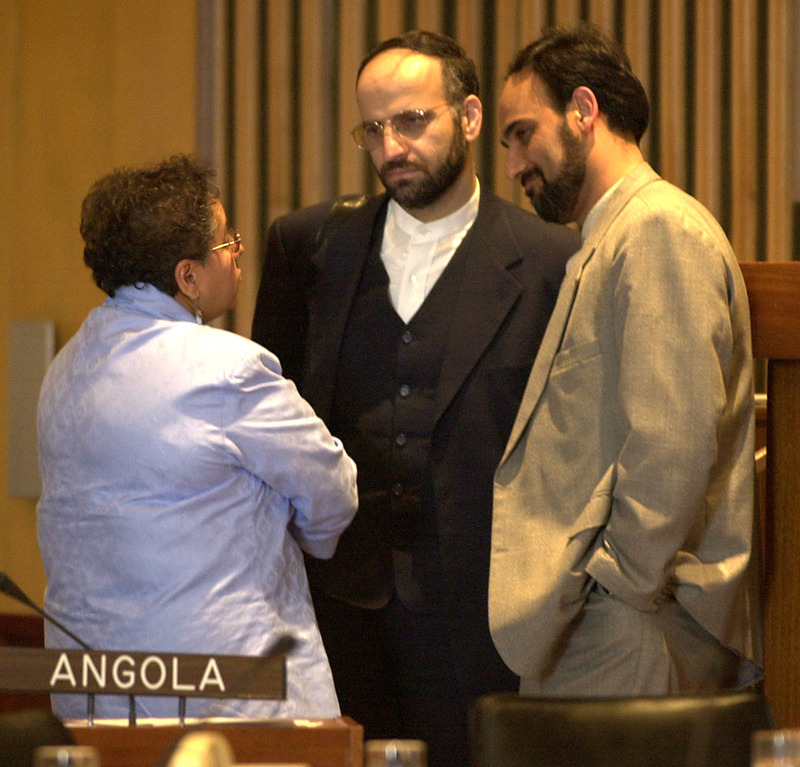 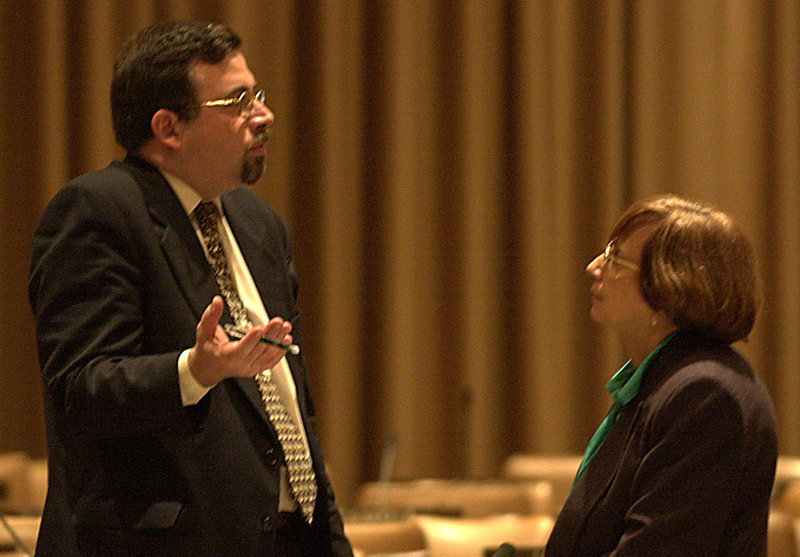 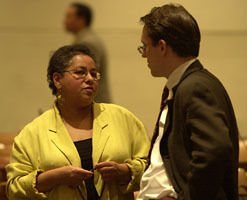 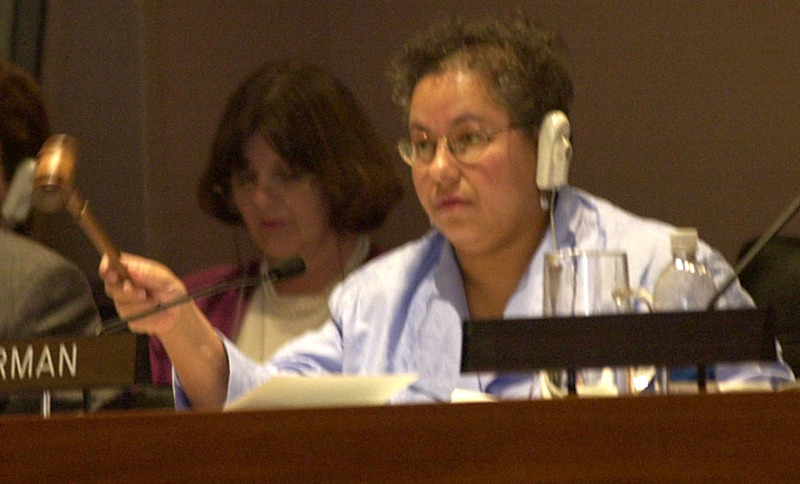 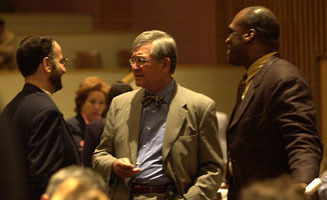 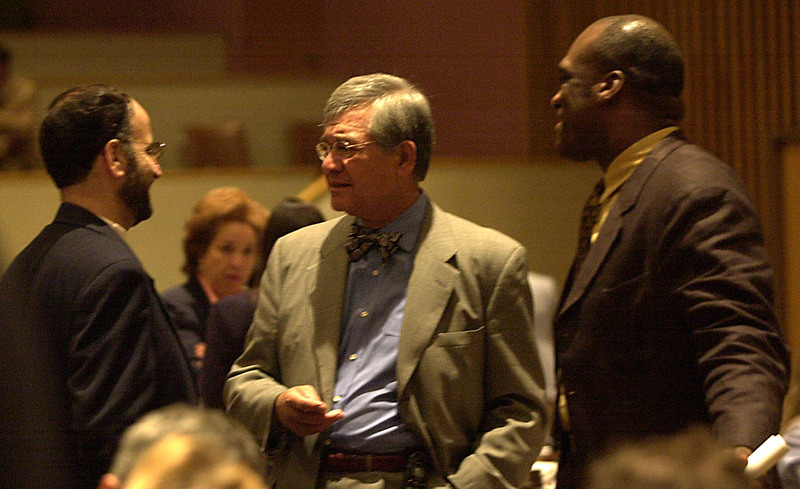 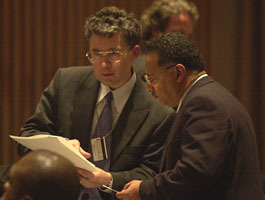 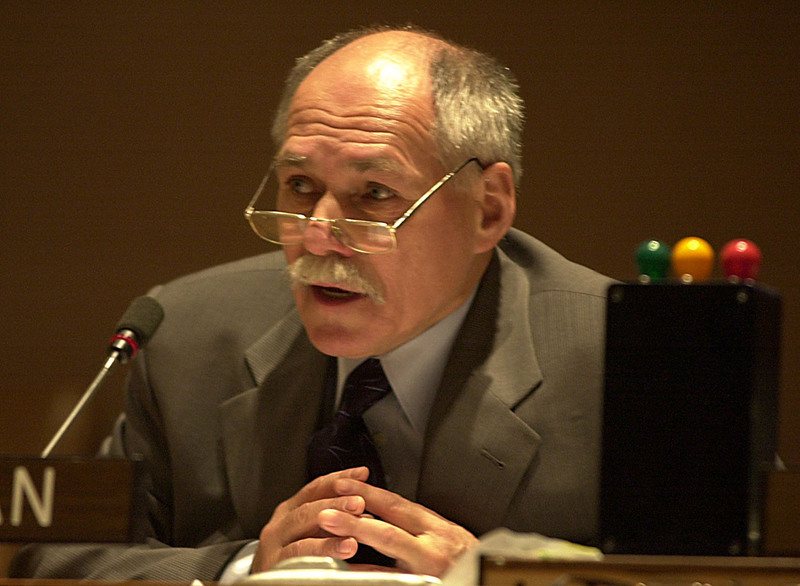 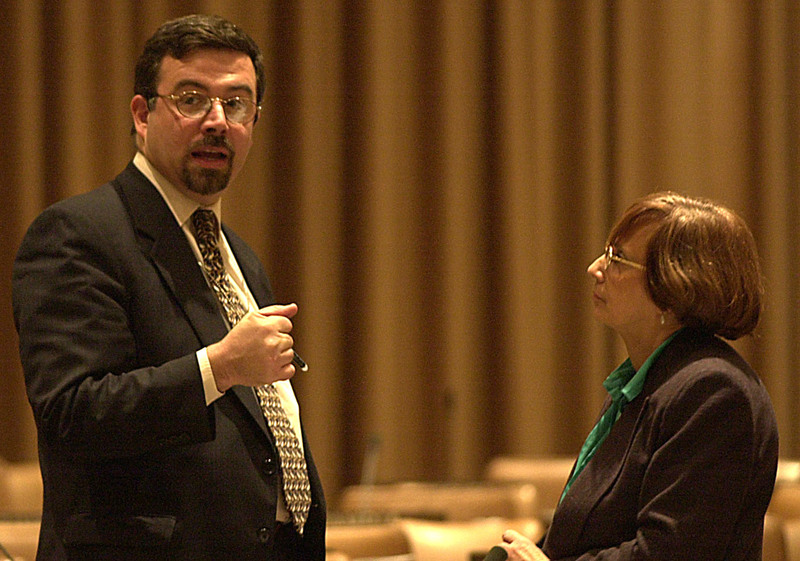 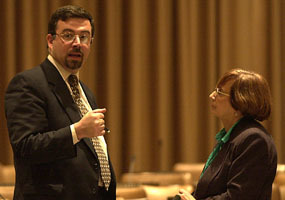 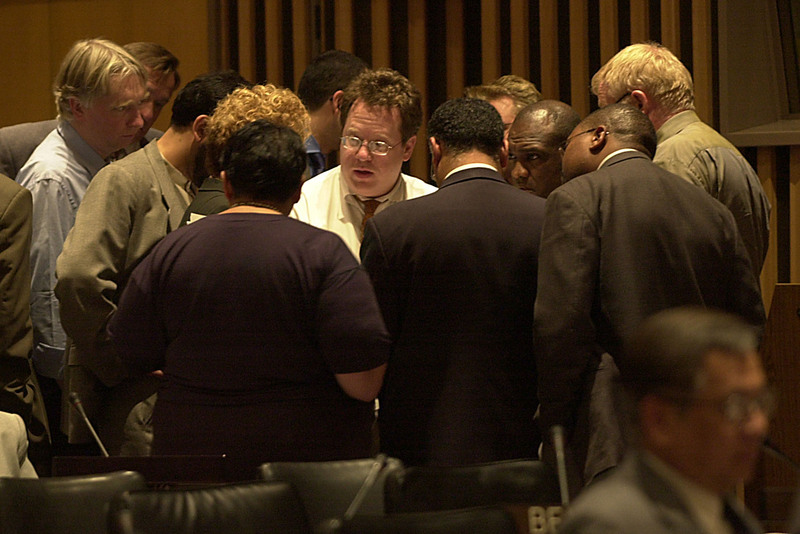 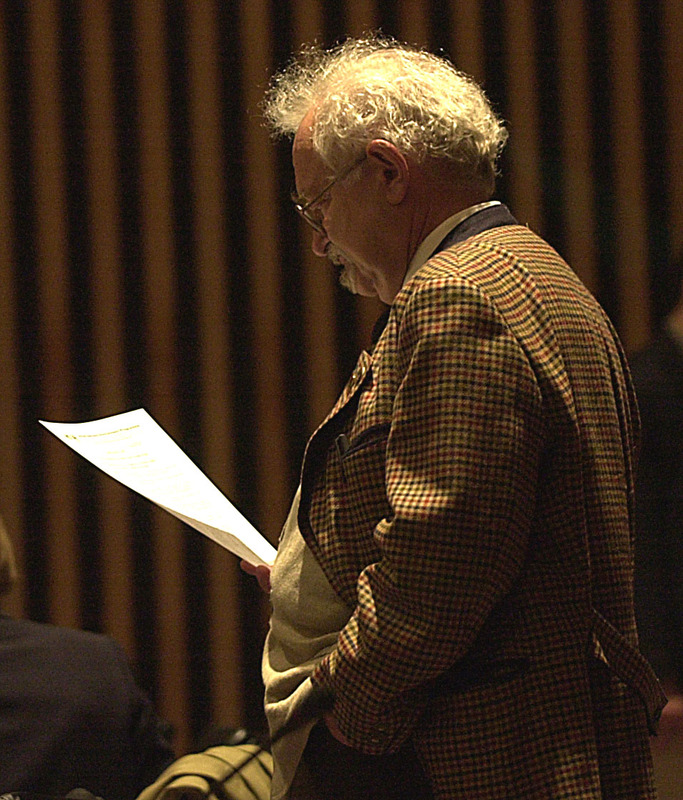 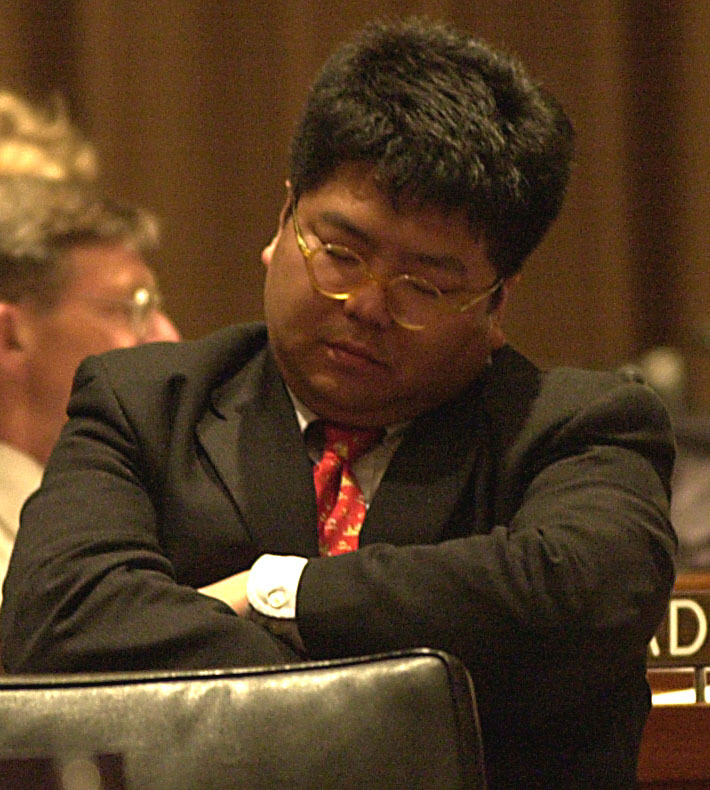 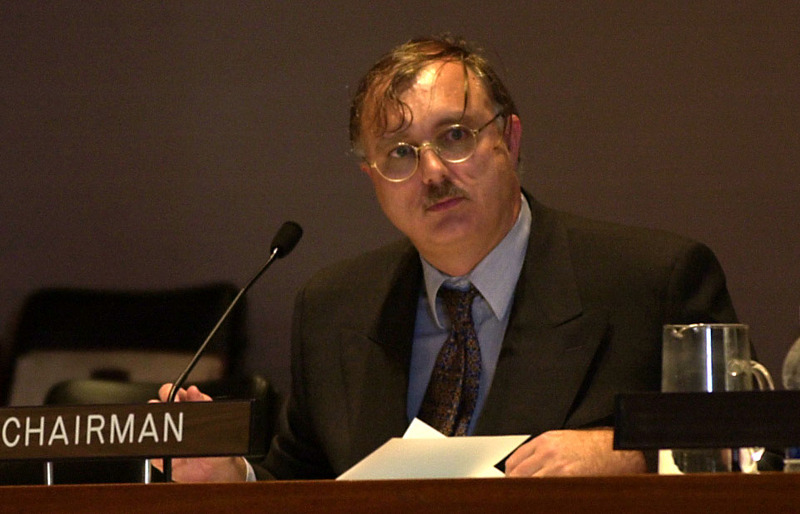 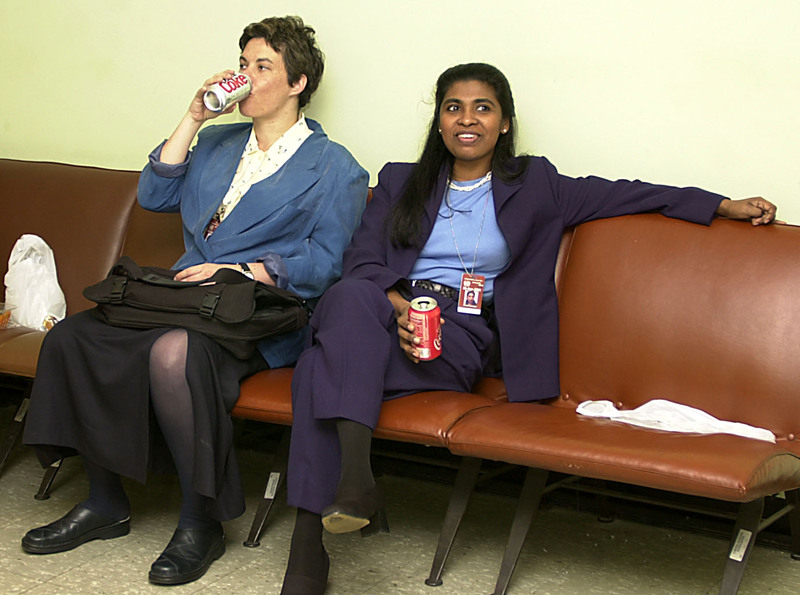 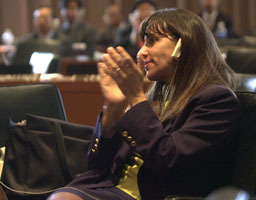 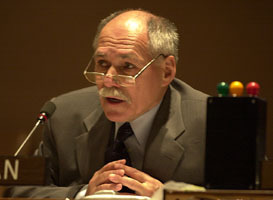 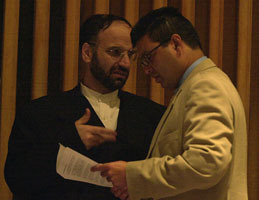 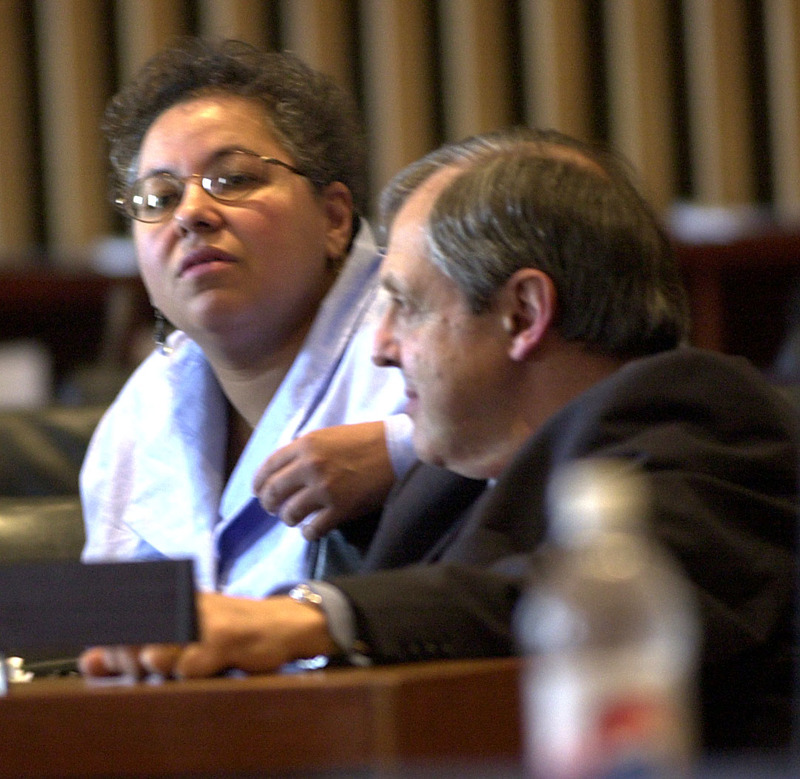 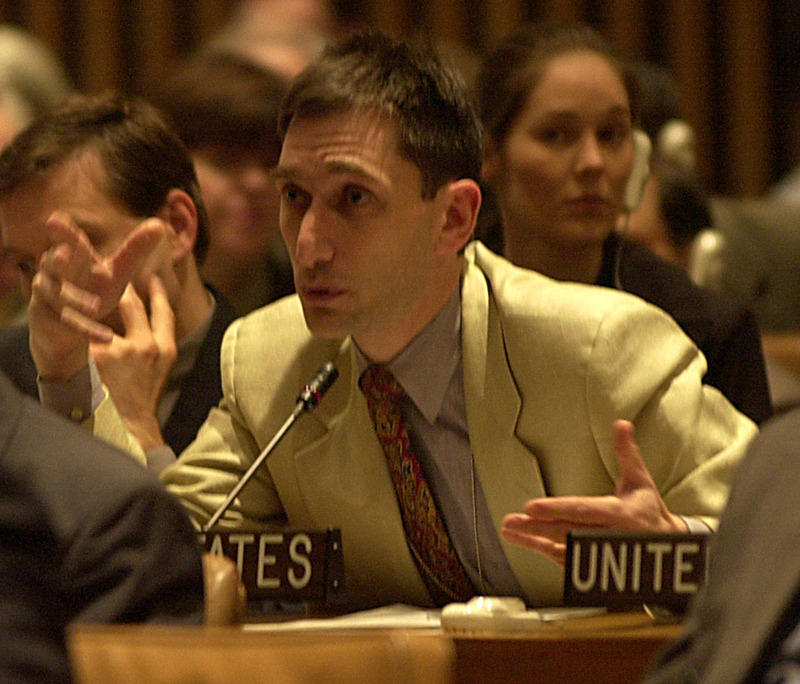 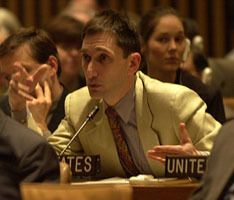 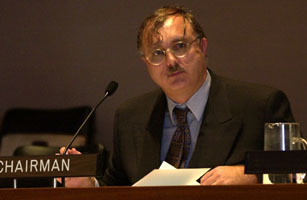 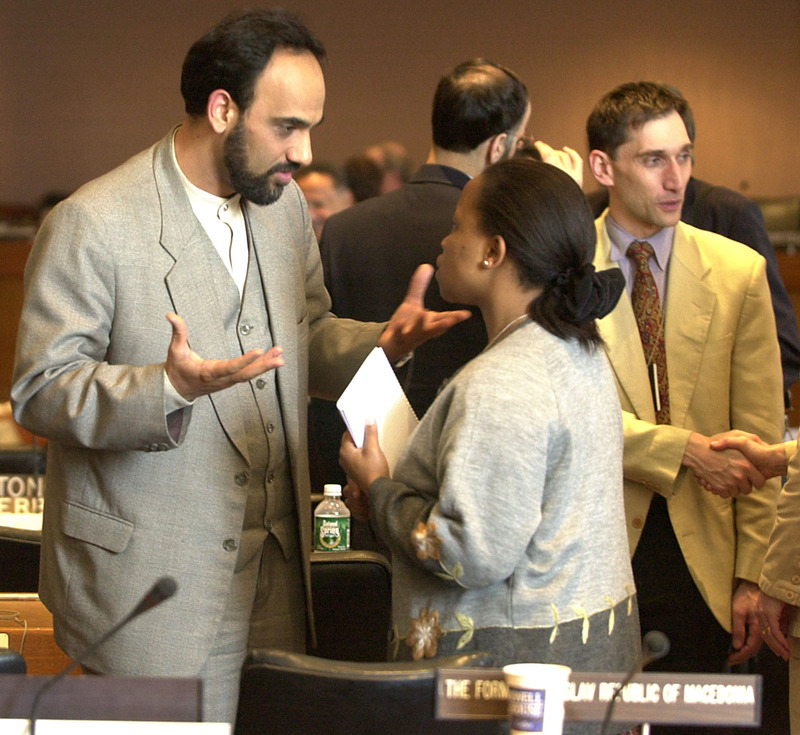 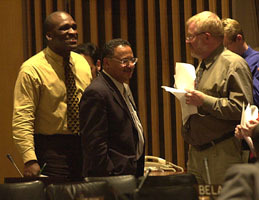 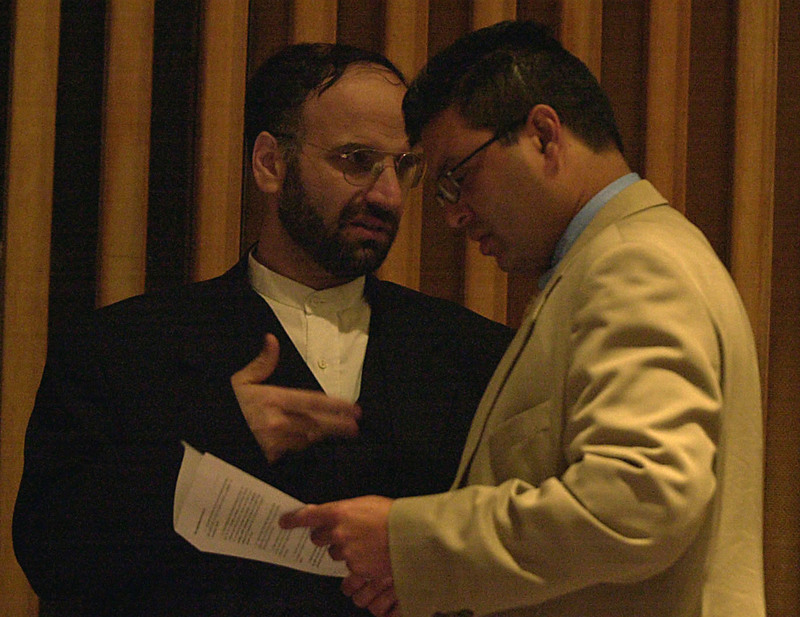 The ninth session of the Commission on Sustainable Development took place at UN Headquarters in New York from 16-28 April 2001. Over 500 participants, who included ministers, representatives of business and industry, local authorities, the scientific and technological community and non-governmental organizations attended. 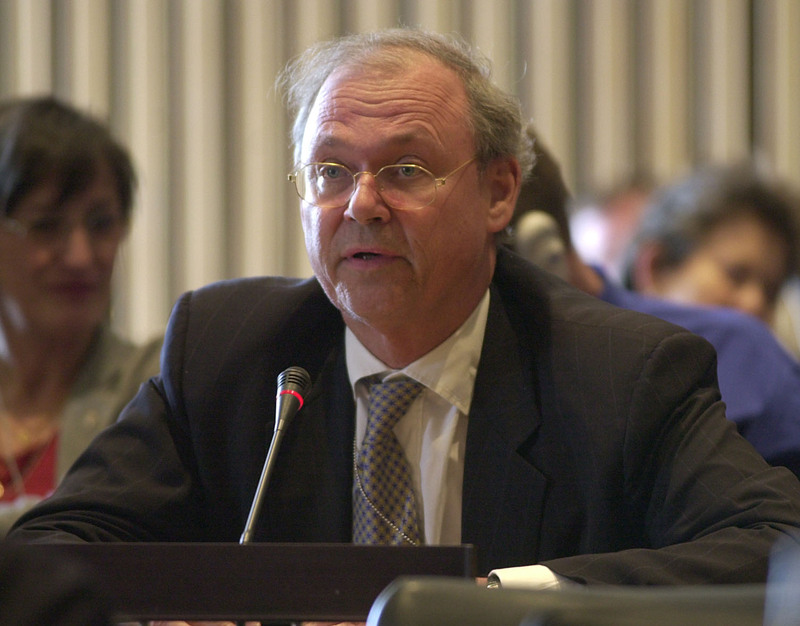 In accordance with the Commission's multi-year programme of work for the period 1998-2002, the session reviewed the sectoral themes of Energy and Atmosphere, the economic sector theme of Transport, and the cross-sectoral themes of Information for Decision making and Participation and on International Cooperation for an Enabling Environment. 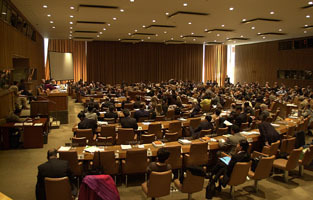 After consideration of the agenda and organizational matters, four Multi-stakeholder Dialogues were held (16-18 April), at which the scientific and technological community participated for the first time. 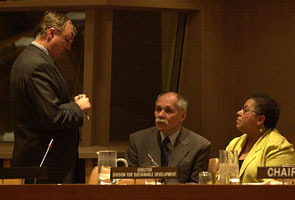 Subsequently, a High-level Segment comprising of a Special panel, two interactive dialogues and general debate (18-20 April) took place. On 19-20 April, Ministers and heads of delegations also held two-hour informal exchanges with the nominated CSD-10 Bureau members with a view to provide political guidance on the preparatory process of the World Summit on Sustainable Development. The work of the Session was conducted in three drafting groups (23-27 April), which prepared five draft decisions on energy, information for decision making and participation, transport, atmosphere, energy and international cooperation for an enabling environment. There was protracted debate during the drafting sessions concerning procedural and substantive issue. The G-77/China consistently objected to the numerous new proposals introduced by the European Union that had not been debated at the intersessionals. 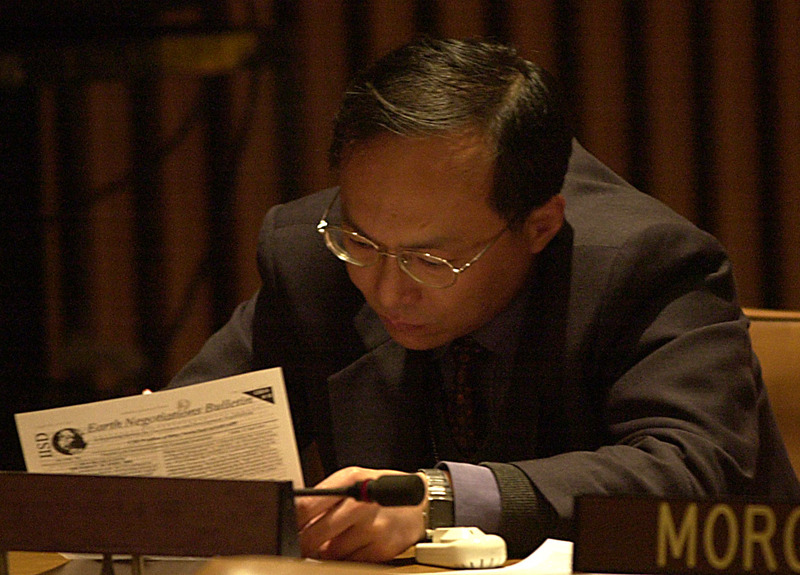 The substantive concerns included the use and transportation of nuclear energy, sustainable development indicators, Rio Principle 10 and recommendations for action at the national level for an enabling environment, on climate change and to the Kyoto Protocol. 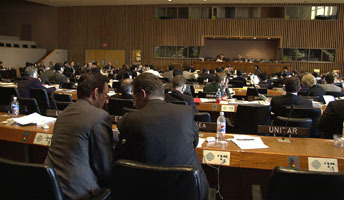 Plenary convened briefly on Friday morning, 27 April to take stock of the progress made in the Drafting Groups and to determine the organization of work for the day. Saudi Arabia (left), Brazil and Egypt expressed concern that many developing countries cannot participate in three parallel meetings. The US said that for the enabling group to take on all enabling issues in other groups could be problematic. 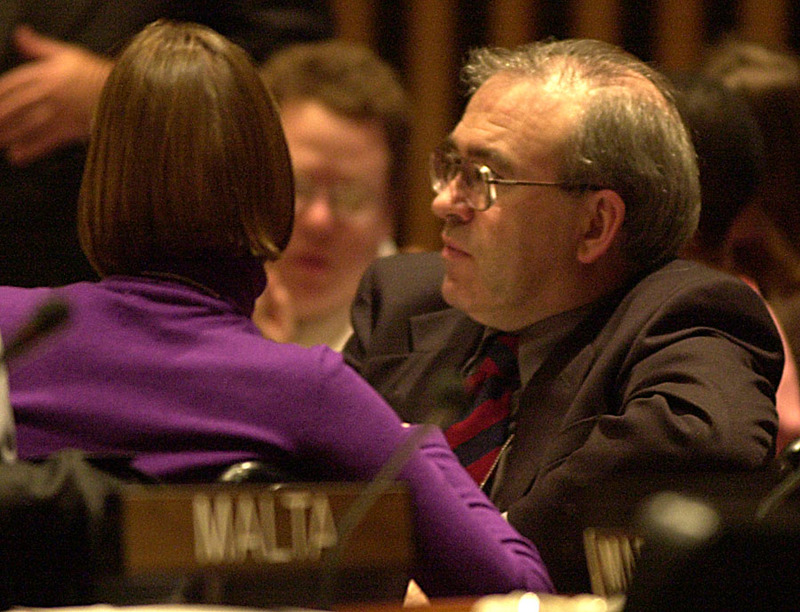 The EU supported establishing one broad negotiating mechanism to take up all outstanding matters. 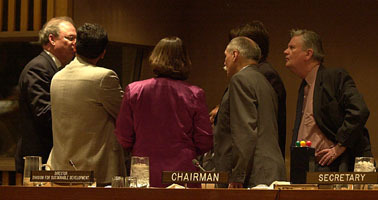 In the light of comments from delegates, Chair Moldan announced the Drafting Group on atmosphere would meet immediately. 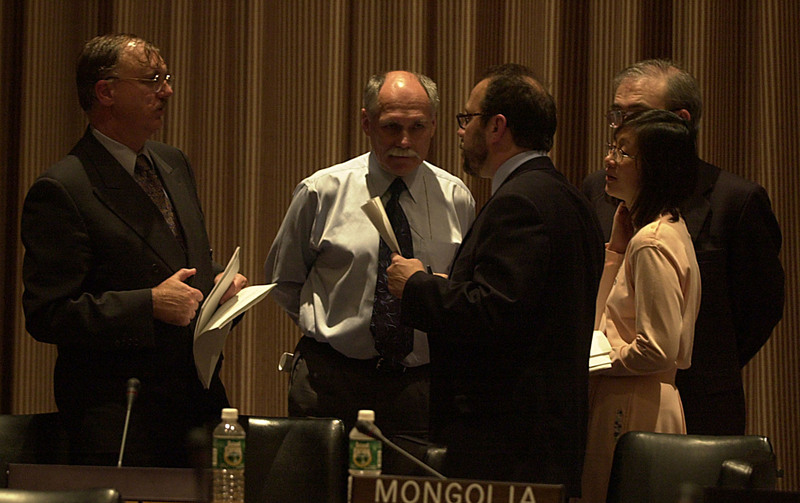 The informal-informal group chaired by Gustavo Ainchil (Argentina) consulting on nuclear issues relating to energy and transport also convened after the Plenary session. 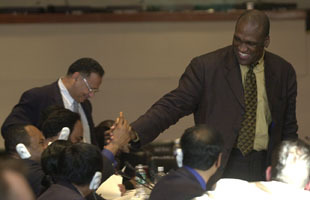 A contact group, chaired by John Ashe (Antigua & Barbuda) was also established to deal with all outstanding issues. 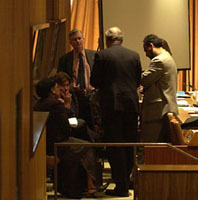 The bureau meets with the Sweden and Iran. 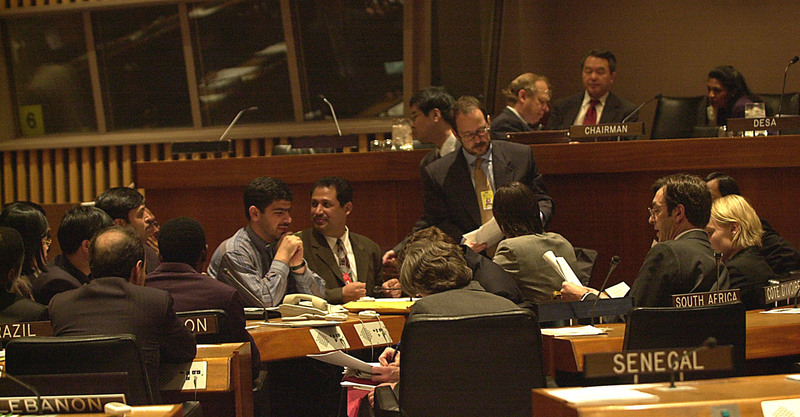 Late Friday afternoon, delegates in the contact group on nuclear issues achieved consensus on text under the draft decision on transport. 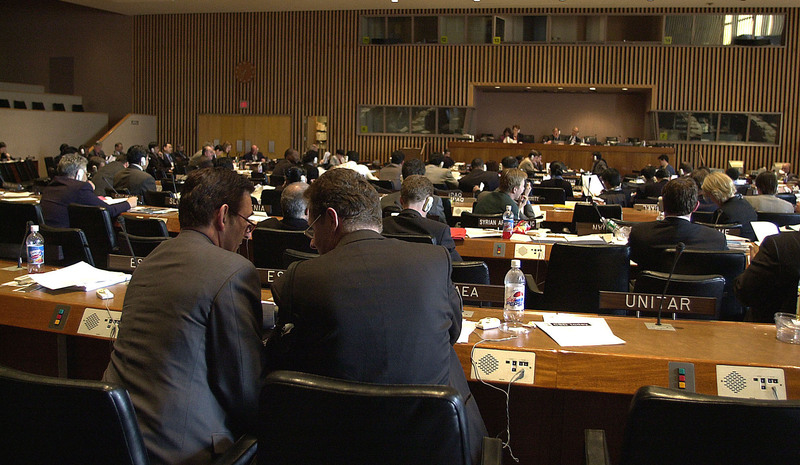 In noting awareness of the risk to human health, safety and the environment from transboundary movements of hazardous substances, delegates agreed to remove a proposed reference to nuclear wastes. 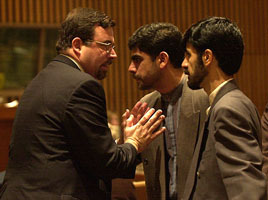 They also agreed to language stating that States should act in a manner consistent with their respective obligations under relevant international "instruments," rather than international "agreements and standards." 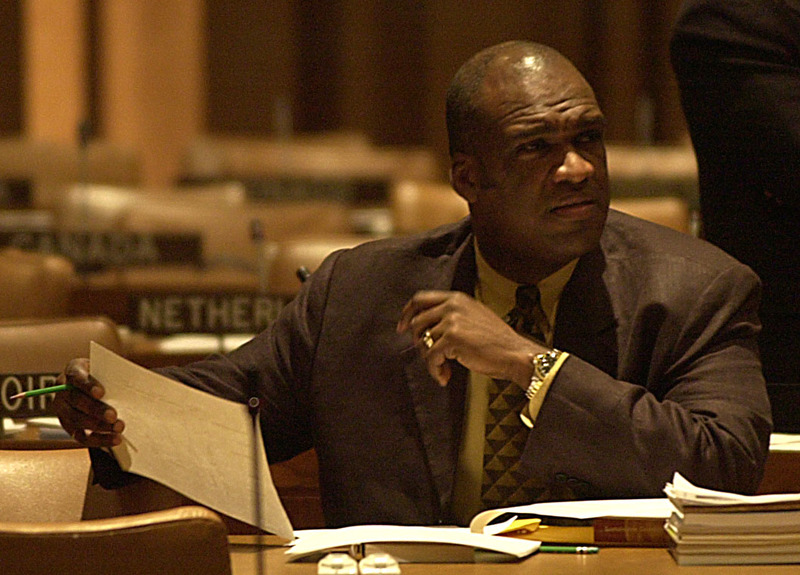 Chair on Outstanding Issues, John Ashe (Antigua Barbudos) opens the midnight session by stating that the group will discuss remaining text on Energy, Information for an Enabling Environment and Transport. 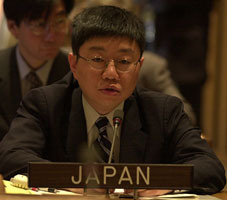 During the energy discussions, Japan, supported by the EU and Australia, reported that informal agreement was reached in the Group dealing with atmosphere on the need for integrated global observing systems. 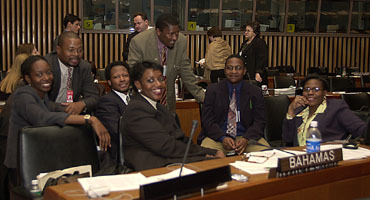 Nigeria and Egypt inquired about the purpose for such observing systems and the cost implications of the proposal, which Japan indicated was the result of the observation of the IPCC in its 3rd Assessment Report regarding the need for coordination and cooperation between the satellite and ground-based data systems. 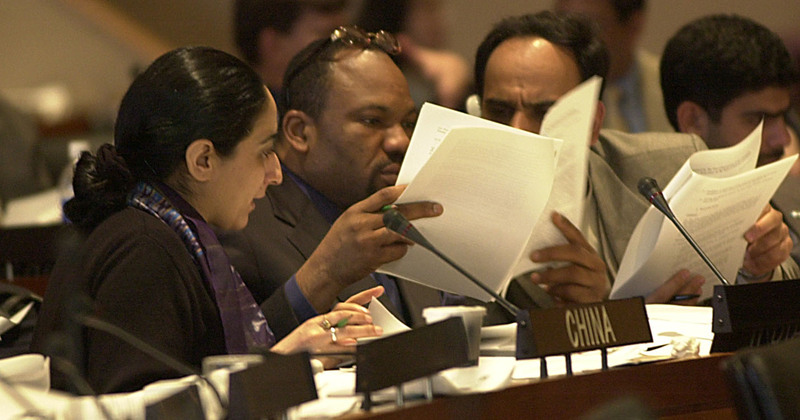 The G-77/China objected to the proposal as the report referred to climate change, which should not be discussed in the CSD. 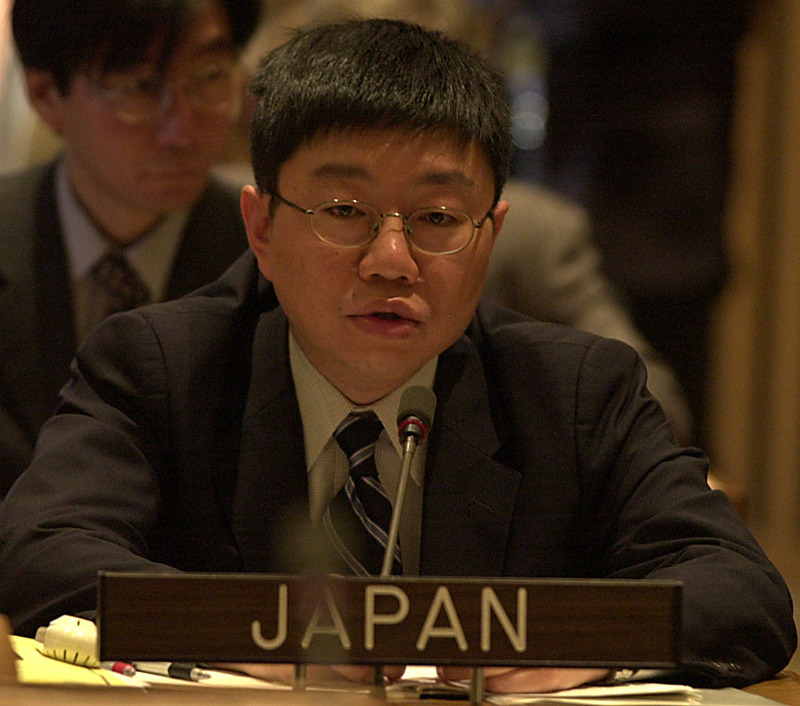 Transport: Transport of nuclear waste was the most contentious issue, with Japan and the Russian Federation opposing any reference to it. New Zealand proposed a broader formulation including "hazardous substances" borrowing language from the International Atomic Energy Agency terms and proposed additional text on notification and consultation. A final decision on this issue resulted from the informal-informal consultation on nuclear energy. 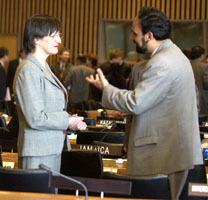 Discussions on international cooperation focused inter alia on: the availability of financial resources to developing countries and countries with economies in transition; the relationship between transport, environment and health, and safety; phasing-out of lead in gasoline; and, international organizations actions to address climate change, air pollution and other impacts. Chair Ashe suggested deleting this section on eco-efficiency, arguing it was covered in other sections of the document. 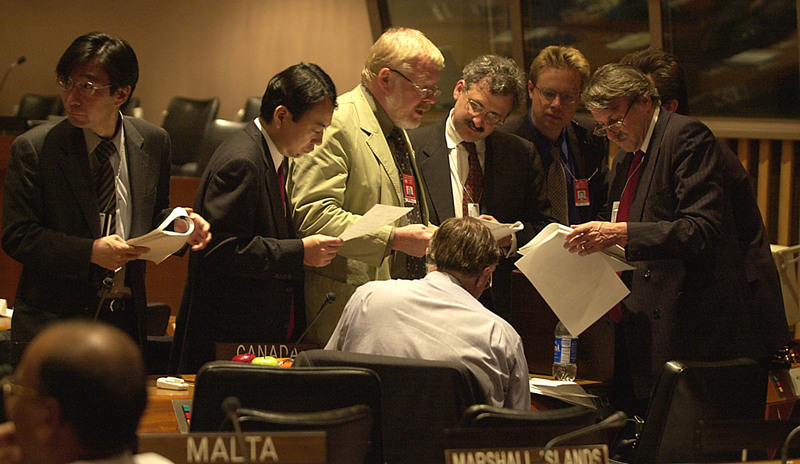 The EU (left) said they would prefer maintaining a reference to this issue with the G-77/China opposing, arguing agreed paragraph 28-UNGASS language. 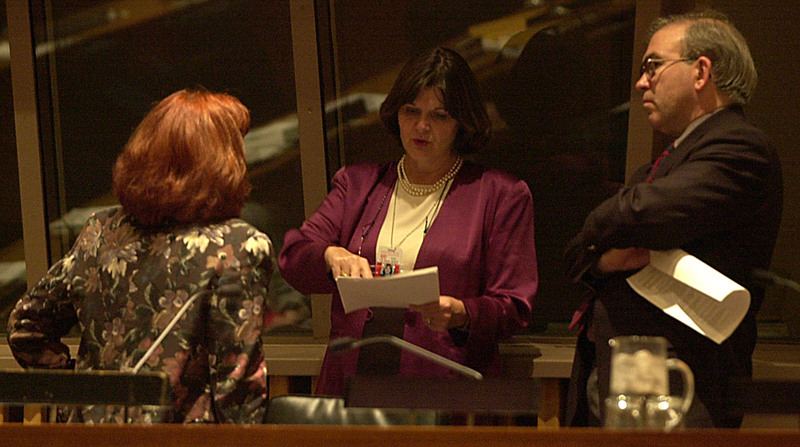 The EU was flexible to chair's suggestion and the subparagraph reference was deleted. 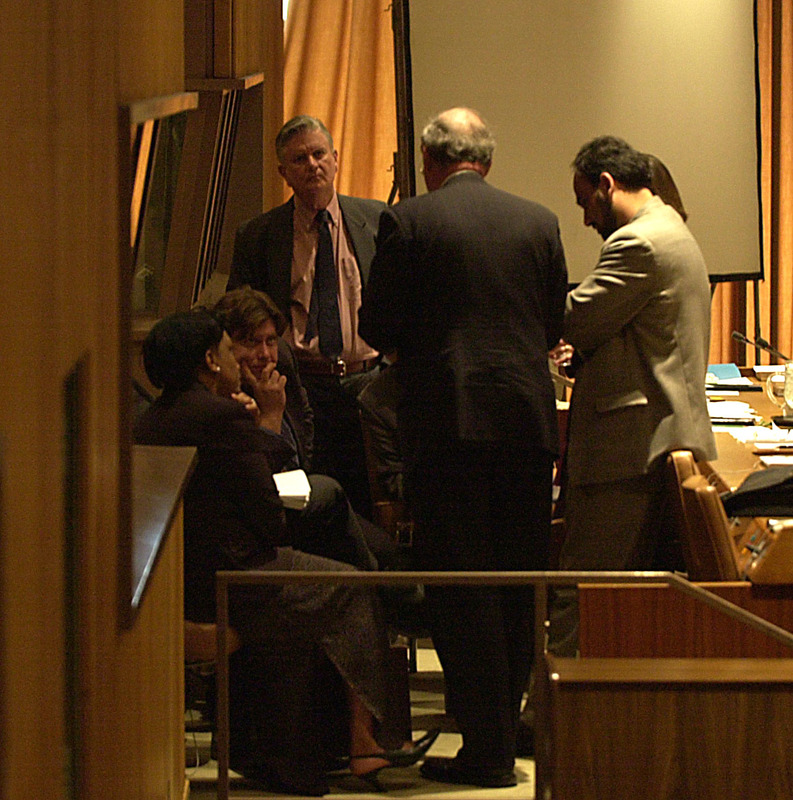 Informal consultations on atmosphere facilitated by David Drake (Canada); The most contentious issues in the text related to: guidance to the Parties to the Montreal Protocol and the United Nations Framework Convention on Climate Change (UNFCCC), as well as language on the Kyoto Protocol; equity and the historical share of developed countries in contributing to polluting emissions; the effects of air pollution on cultural heritage; private sector involvement in technology transfer; air pollution in the context of human settlements; atmospheric emissions and air pollutants; monitoring of the Earth's atmosphere; and regional cooperation, including capacity building. 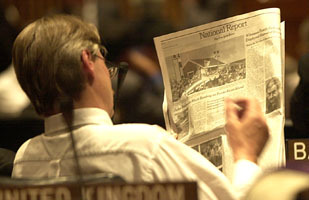 The European Union states its position on the inclusion of text. The final decision on information for decision making and participation: highlights general considerations; describes guidance to the multilateral system, including on improvements in functioning, coherence and coordination, and training and capacity building; outlines indicators for sustainable development; and gives recommendations for activities at the national level. 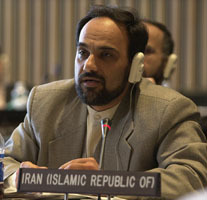 Iran, speaking for the G77/China, opposes the inclusion of new text proposed by Australia. Australia explains the nature of the W3C guidelines for providing accessible information on the internet. 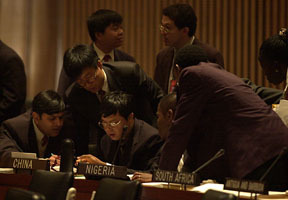 Nigeria voices concern over this issue. 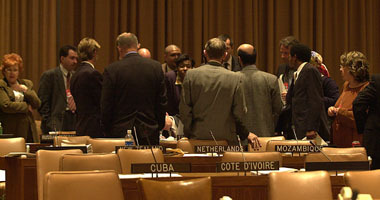 International Cooperation for an enabling environment: A number of contentious issues were discussed during informal talks. 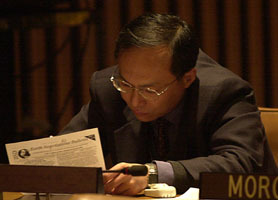 The G-77/China preferred references to: economic growth, social development and environmental protection; development of a strategy and action plan to reverse the decline in ODA; ways in which ODA could be complemented by private sector resources; and control of capital and investment flows for the purpose of maintaining financial stability. The EU supported text on the integrated and coordinated follow-up of major UN conferences and summits and on good governance at the national level. The US preferred text referring to efforts to reverse the decline of ODA "for countries who have so agreed" to meet targets and to efforts of developing countries to "effectively employ" capital and investment flows. 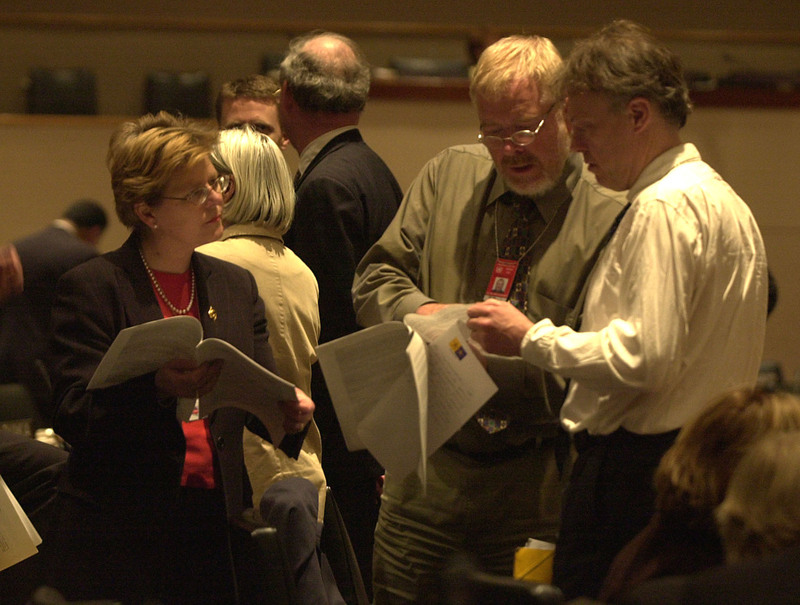 Energy: Delegates look over the final text on energy; pictured here are the Co-Chairs of the Energy Expert Group Irene Freudenschuss Reichl with the EU (left) and Co-Chair Mohammad Reza Salamat with Russia. 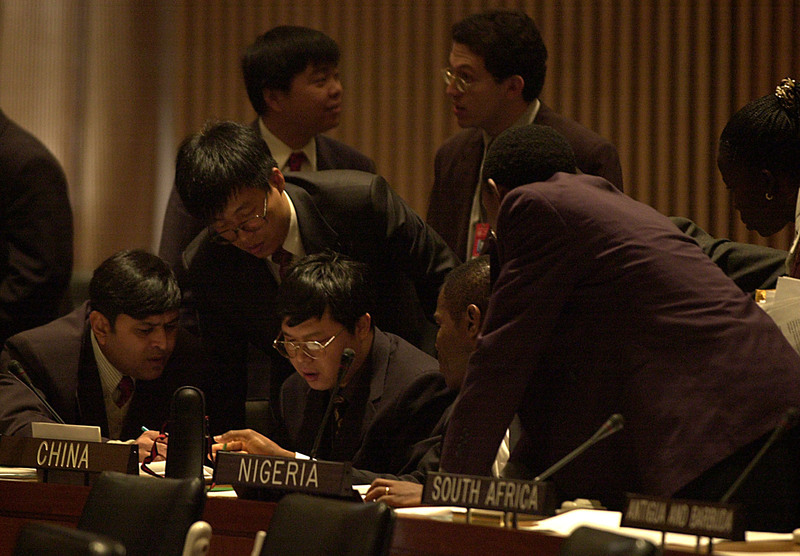 Of the many contentious issues, those that generated protracted debate necessitating two days of informal consultations were on recommendations regarding: the importance of taking into account Principle 16 of the Rio declaration in the context of energy policies; the effects of environmental standards on poverty eradication; the internalization of external environmental costs; nuclear safety and waste management, and regulation to govern transportation of nuclear waste; energy efficiency codes and standards; the phase out of harmful energy subsidies; resources to support energy for sustainable development; and networking among centers of excellence competent on energy technologies. Consensus on many of these issues was reached through informal consultations that considered related issues contained in the other draft decisions concurrently. Issues on which consensus was not obtained were dropped by the Drafting Groups as they adopted the decisions. 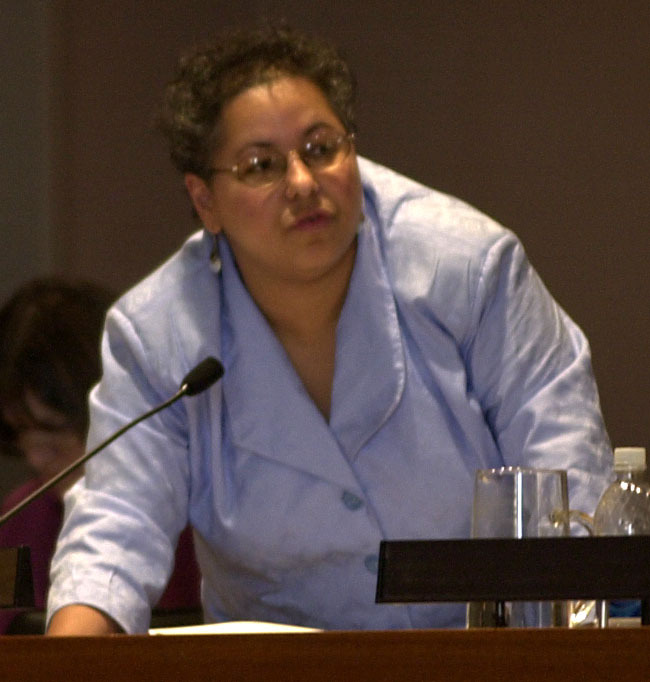 These are on energy efficiency codes and standards, the phase out of harmful subsidies in developed countries, promotion of atmospheric pollutant reductions, and references to the development of policies supporting energy for sustainable development. 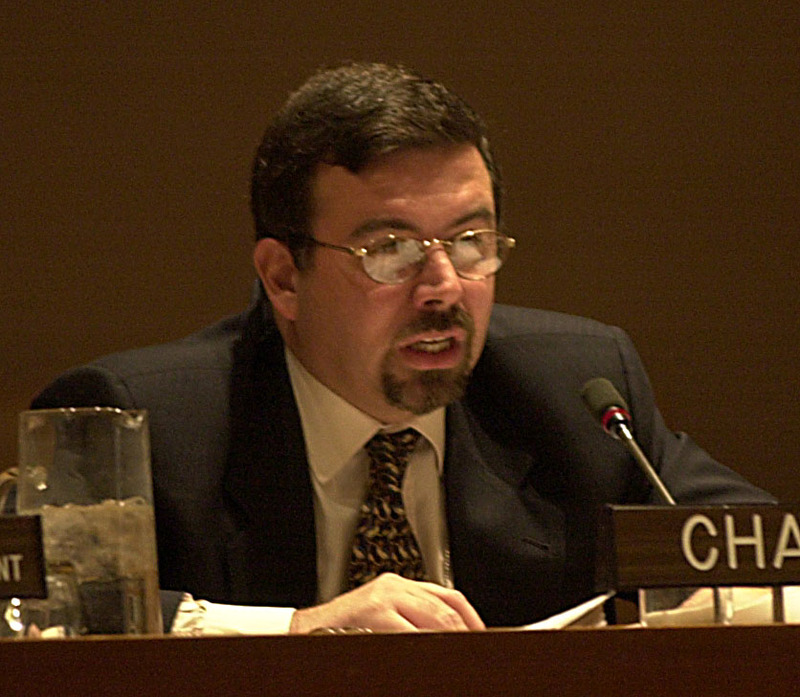 In closing, Chair Moldan expressed thanks to delegates for their hard work and gratitude at the conclusion of an extreme process, noting that the CSD is a critical stage, preparing for the World Summit on Sustainable Development. 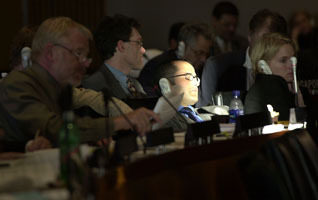 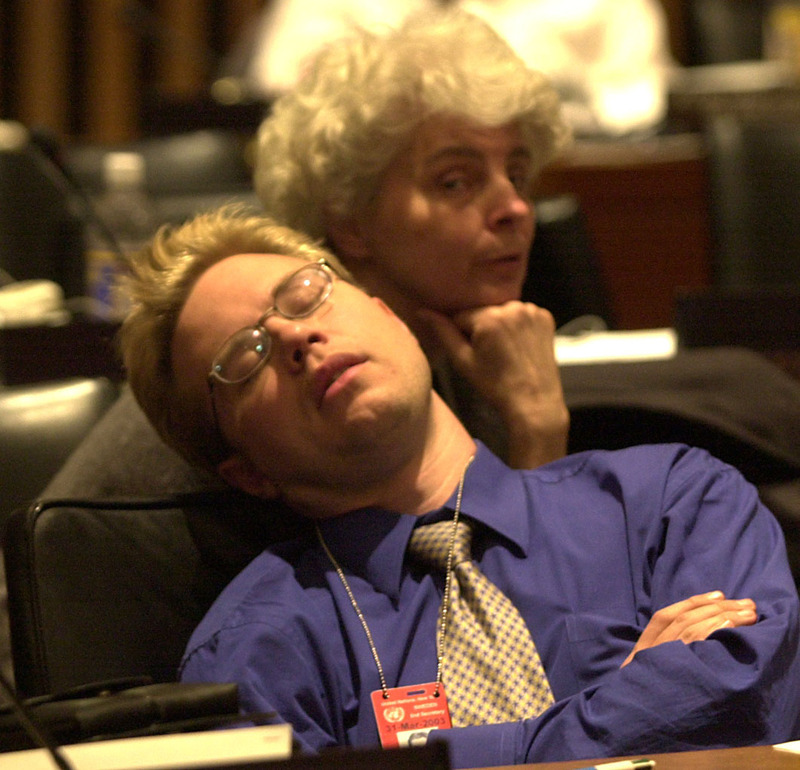 As the sun comes up and shines through the window, the Closing Plenary begins and one delegate still sleeps.